The Adaptation Sub-Committee has summarised the results of the independent analysis presented in the CCRA Evidence Report, and drawn conclusions that are presented in the Synthesis Report. Following the systematic review of the available evidence by leading academics and other experts included in the Technical Chapters, the Adaptation Sub-Committee has identified six key areas of climate change risk that need to be managed as a priority. 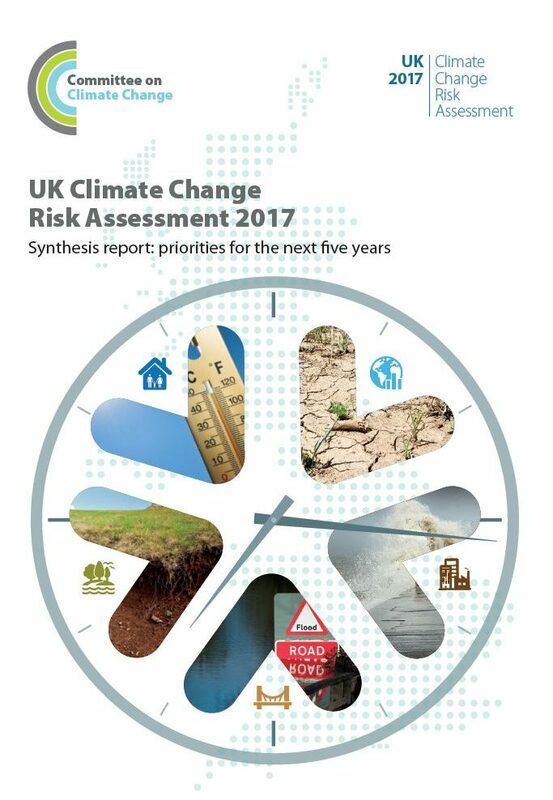 The six immediate priority areas are related to risks of flooding and coastal change, the impact of high temperatures on health and wellbeing, risks to natural capital, risks of future water shortages, impacts on the global food system, and risks arising from new and emerging pests and diseases. This short animation sets out the key climate-change related risks and opportunities for the UK. Fact sheet: What is the CCRA Evidence Report?